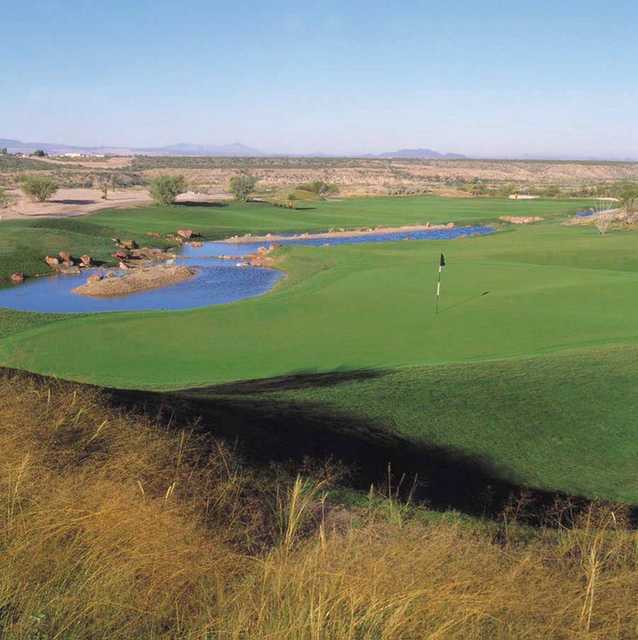 A little different from many desert courses, del Lago Golf Club plays like more of a combination of links and desert golf, featuring wide sweeping fairways that drift off into the surrounding valleys and arroyos, and lead you to oversized greens that often require a traditional bump and run shot. 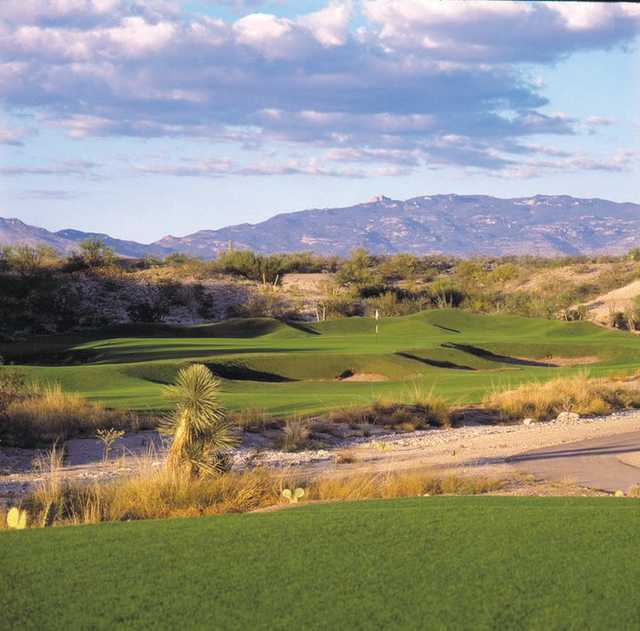 A little different from many desert courses, del Lago plays like more of a combination of links and desert golf, featuring wide sweeping fairways that drift off into the surrounding valleys and arroyos, and lead you to oversized greens that often require a traditional bump and run shot. 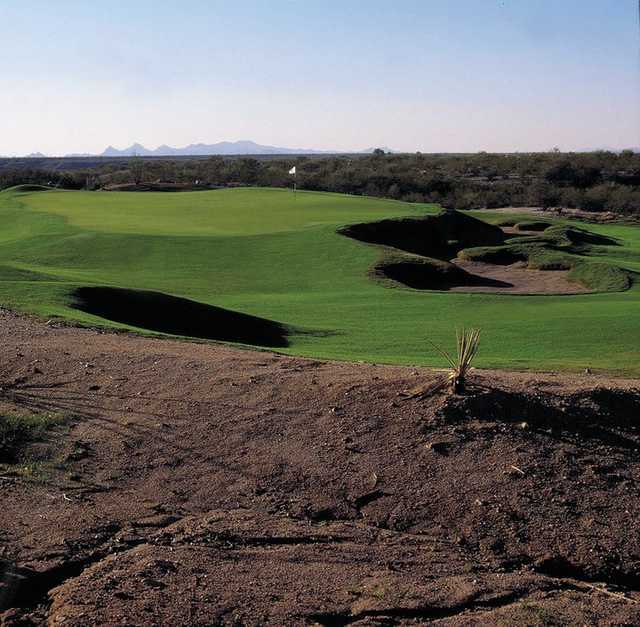 Each nine offers either one of the many lakes that dot the course, or threads through well-placed bunkers that are waiting to catch the slightest mistake in approach shots. 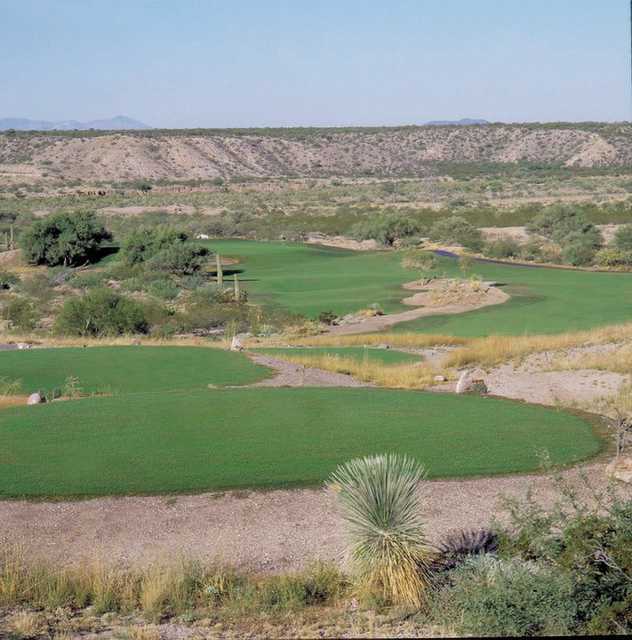 The golf course will require every club in the golfer's bag and a good supply of nerves on slick, undulating greens. 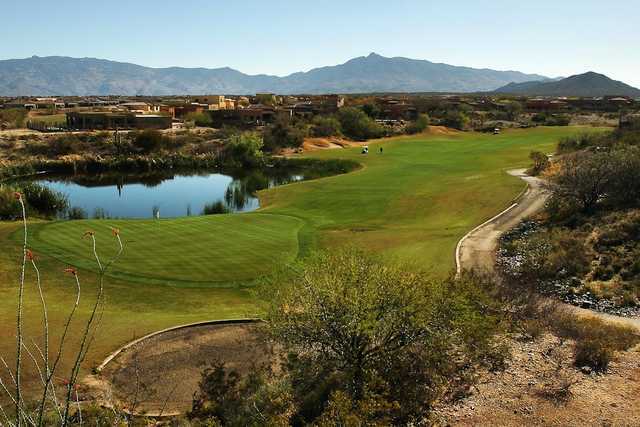 I found Del Lago a pleasant challenge from the traditional Tucson courses. 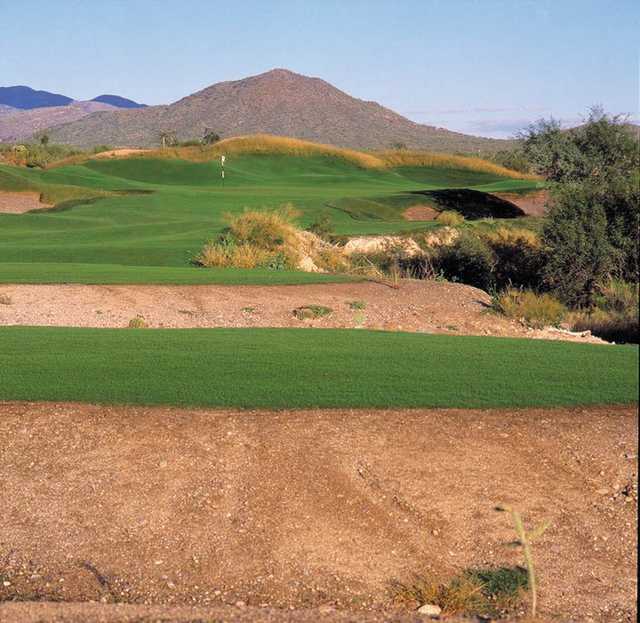 The course design ranges from desert to links type golf. The many lakes and assorted terrain makes the course a good challenge for the mid to low handicap golfers. I found the conditions excellent and a great value for the Tucson area.